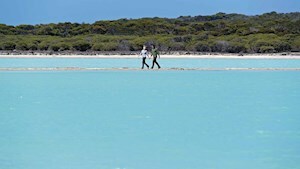 Yorke Peninsula has a range of self-contained accommodation to suit any budget. From a traditional beach shack to a luxurious holiday house, Yorke Peninsula has a range of self-contained accommodation to suit any budget. Many holiday houses offer pet-friendly family holidays or fishing getaways - complete with pet brag boards, fish cleaning stations, crab cookers, boat parking or storage.